I have to say the first thing that drew me to this company was their tag line of be good, do good. I love that motto, and I try to live my life by it as well. When I was asked to review the watch I knew this was a company I could get behind. arvo watch, be good, do good! 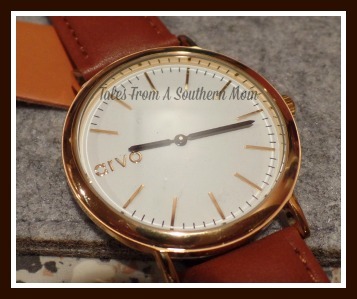 This is a classic, beautiful timeless looking watch, the kind of watch you want to wear all the time. I love that it looks just as good on men as women and it is real leather. I found the look to go well with whatever you are wearing and can easily go from dressy to casual without missing a beat. arvo as a company is one of those great corporations where a good portion of each watch sale goes to help fund charitable projects. They have spread it in different areas, from clothing for homeless, money for education, the Utah refugee project, and many others. I embrace companies that do these things if we all give a little imagine what a huge difference we could make. arvo does their share and helps you do your share as well. Looking for a simple watch of quality is no easy task, very expensive watches tend to be a little more flashy than I like. Sometimes simple classic things lead to great quality and nice looks. This watch does this exceptionally well. When you wear a watch you want it to be stylish without being flashy and overdone, arvo, seems to be able to capture this and still have a great selection with subtle nuisances that make every style unique and yet still classic. I could have a whole wardrobe of arvo watches, the only problem would be deciding which to wear. The genuine leather band has enough holes in it to go very small to very large, something that can be missing from other brands. 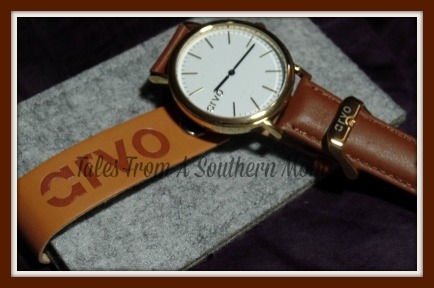 arvo also sends their watches in a felted wool pouch, with a leather closure, great for storage and packing to take with you, the watch face is always protected this way. 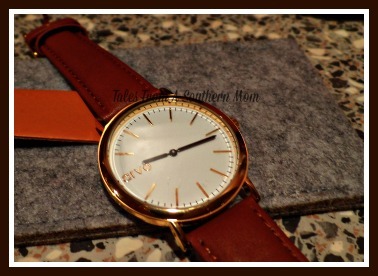 If you are looking for beautifully simple and classic in a watch, this is the one to get. You can purchase these great watches directly and be sure to check out the different bands you can switch out with too. Connect with arvo on Facebook, Twitter and Pinterest to catch their specials and new offerings. Previous post: Art Frames your life. Love your art. Frame it right. I need a nice watch like this one. I like that they give back to charity too. This is a beautiful watch. I like the all leather band. I can’t wear metal bands because I’m allergic to them, but this would be perfect.